Argillà Italia 2018 – DEADLINE EXTENDED TILL 22 Jan. 2018! Sie sind hier : Home / Allgemein / Argillà Italia 2018 – DEADLINE EXTENDED TILL 22 Jan. 2018! 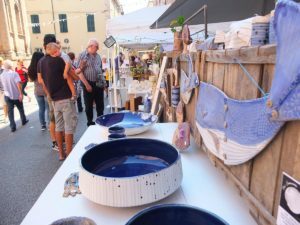 we are pleased to inform you that the call for Applications at next Argillà Italia 2018 market fair is now open! Argillà Italia 2018 will take place in Faenza, Italy, next August 31 and September 1 and 2, 2018. Germany is the Guest Country at this edition. Alternatively, all the forms and guidelines may be downloaded from the official website of the event. Please kindly note that the deadline to submit the applications is January 22, 2018. Please also be informed that you may already give communication of side events or propose a specific project, through the dedicated call for events: all the relevant information are available on the website. We are at complete disposal for any further information or clarifications you may need. Please feel free to forward this to any potters and artists that may be interested in the event.